Chasing a tattoo artist half-way across the world was certainly an unconventional step in pursuing a career as one of the world's top baristas, but that was the motivation that sent Arthur Wynne to Dublin to begin his international coffee-fuelled adventures. Now residing in Vancouver and taking on the cafe scene with a wink and a smile, Arthur, is creating waves in what could be said to be one of Canada's emerging coffee destinations. Infectious is one way to describe Arthur's inherently positive personality. Cheeky, welcoming and determined are others. But, whatever it is Arthur’s got, it’s working. Managing Wicked Café, near Vancouver's trendy Granville Street, and the recently opened downtown location, Arthur says sales are the highest they had been for two years. "Previously we were doing probably five pounds of coffee a day, now it's more like ten to 15 pounds a day," Arthur said. "We are pretty much selling out of food by 3-4pm every day, we went from having food left over to selling out," he said. 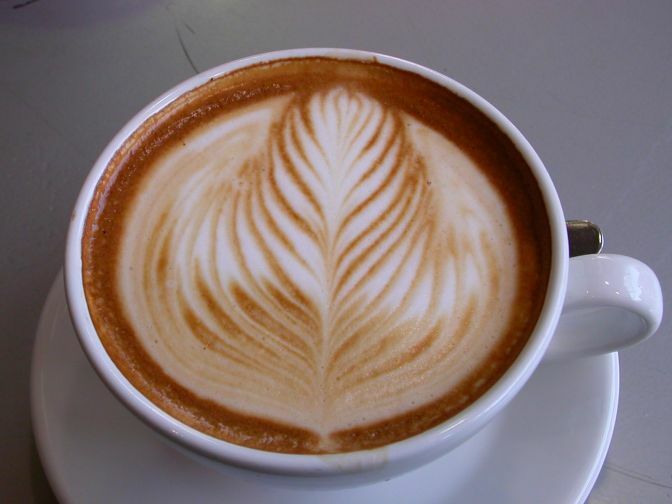 One could attribute this alone to Arthur's amazingly creamy and beautifully presented lattes, but he has another theory. "I started getting to know people and using word of mouth, making everyone feel at home and providing an experience that was lacking in most cafes here," he said. "At home (Australia) you knew every person that came in and that's what I wanted to bring here, that feel of community and also getting good service." This formula appears to be a success, with patrons vying for seats for the majority of the day in the small but cosy space. Now well and truly ingrained in Vancouver’s sophisticated coffee scene Arthur's first job in Nyngan, New South Wales seems a stark contrast. He spent two and a half years in the small town completing a carpentry apprenticeship, but a trip overseas gave him a taste for something different. “I have always wanted to travel so when I came back from a big city to a small town I realised I wasn't going to find what I was looking for there." Arthur spent 7 years at various locations throughout the city working as a waiter and managing restaurants with brief plunges into the world of coffee. "One day the barista was sick and I was the only person there to throw behind the coffee machine," Arthur said. "I didn't know what to do, but I had watched how the barista had done it – I didn't drink any hot beverages at all at that stage," he said. "I had a lot of complaints that it wasn't hot enough and other things which annoyed me. I decided to taste the coffee and didn't like it at all." From there, Arthur toured Sydney sipping, observing and learning. "When I finally did ask someone (for help) it was a trainer who was passing through town and he showed me a few things." Latte art made it's way onto the Australian cafe scene in 1998-1999, and Arthur decided to give it a shot at his first competition in 2002. However, as with many things in Arthur’s career, it was more serendipitous that strategically planned. "The New Zealand Champion showed me how to do it just before I went on stage," Arthur said. "I didn't know the criteria so I just went in blind,” he said. Despite this, Arthur placed just outside the top ten. Since then, Arthur has ranked in the top ten at the World Latte Art and World Cup Tasting competitions, and 11th at the World Coffee and Fine Spirits competition. Now he travels the world judging the competitions. Oh, and the tattoo artist? Before leaving Sydney Arthur spent 8 months tracking down a reputed tattoo artist, and finally found him in Dublin. "I went there to get that (tattoo) and to work with my friend who was my waiter in Sydney," he said. And the gamble paid off, with the tattoo ensuing and a lucrative café job to boot. "In Dublin I was taking home €300 a week in pay and €700 to €900 in tips," he said. However, the life of a world top-ten barista is not all glamour as Arthur points out. “If you are an up and coming barista it’s hard to make your mark in Canada,” Arthur said. Despite this, the success spawned from Arthur’s managerial skills at Wicked Café means the newest downtown location is bound to be a hit with hard working city workers. As to the future, Arthur plans to open a café of his own, and if it’s in Australia, Melbourne would be his destination of choice. Melbournites, keep your fingers crossed! Caffe Barney on trendy South Granville is a home-style diner with a twist.